Judy Shamoun-Baranes present a plenary talk at the European Ornithologist’s Union Conference featuring ENRAM and together with José Alves organized a Round Table Discussion on “Radar aeroecology: unravelling population scale patterns of avian movement” which included a presentation by Cecilia Nilsson. Minutes from the round table discussion can be found here. Ommo Heupop presented a poster about ENRAM at the annual convention of the German Ornithologists’ Society in Bielefeld, 1-6 March 2014. More information about the meeting can be found here. Alistair Drake gave a presentation about ENRAM at the PIRR 2014 conference. 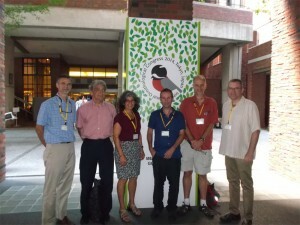 Jose Alves and co-authors presented a poster about ENRAM at the 5th Bio-logging Science Symposium in Strasbourg. Jason Chapman and Judy Shamoun-Baranes will be presenting some of their research in a workshop focusing on flight. Several other members of ENRAM were present at this symposium. Judy Shamoun-Baranes gave a presentation about ENRAM at the OPERA Expert team meeting hosted at KNMI in De Bilt, the Netherlands. Several other ENRAM members, some of which also members of OPERA, attended this meeting. Matti Leskinen and Hidde Leijnse presented ENRAM related research at the 8th European Conference on Radar in Meteorology and Hydrology. Matti Leskinen’s presentation is available here. More information about the meeting as well as submitted abstracts is available here. 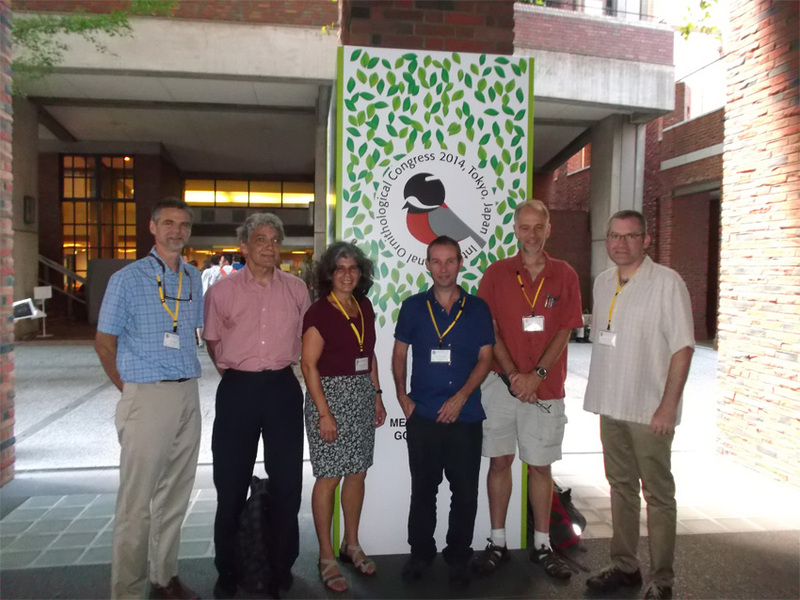 Judy Shamoun-Baranes gave a presentation about ENRAM at the 26th International Ornithological Congress in Japan during the Radar Aeroecology symposium. Several ENRAM members were present at the conference and presented their ongoing research including Jason Chapman, Adriaan Dokter, Ommo Heuppop and Felix Liechti. The ENRAM presentation can be downloaded here. If you would like to use this material please contact one of the authors in advance. Hidde Leijnse gave a short presentation on ENRAM for European radar meteorologists at the OPERA (Operational Programme for the Exchange of Weather Radar Information) meeting in Warsaw, 19-21 March 2014.